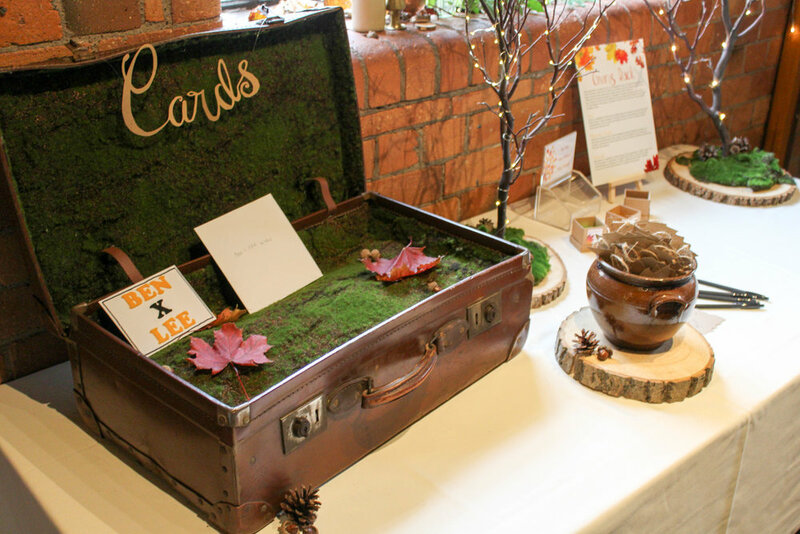 Working with natural greenery and a cosy relaxed style to create that perfect Autumn or woodland scene. It all starts with a presentation board or Pinterest board to gather your ideas to make sure all the elements of your wedding are exactly what you want. What makes an Autumnal look? There are many ways to interpret a woodland theme. Whether this is an American harvest style with pumpkins and grains or more English with a bit more greenery, it is important to utilise the beauty of nature during the months of the year from autumnal to Spring.. When the nights draws in you need to make sure you consider lighting in your space so fairy lights are a must to accentuate your decor during those darker evenings. The natural colours should be used to highlight key features such as table centres and sourced leaves are a cheap and easy way to add interest. The natural colours of the leaves make a great backdrop to a classic tweed suit or an ethereal ivory wedding dress. These are all really provided by nature, you just need to follow suit. Autumn leaves or sourced greenery provide some beautiful colours from greens, reds, oranges and browns. The patterns come from the colouration of the leaves, but more importantly you need to think about textures. 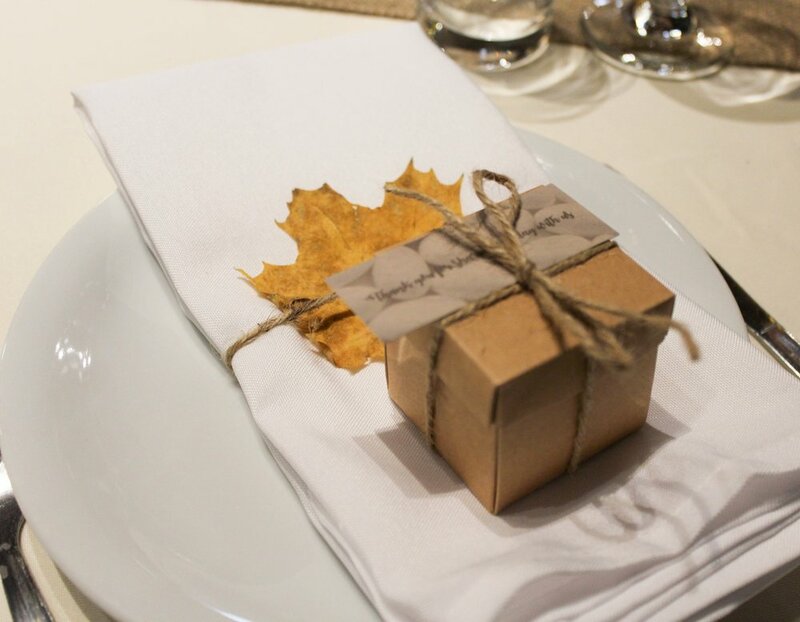 Things like hessian and twine add to that natural rustic feel, think about the rough texture of bark or earthenware bottles or pots to enhance the beauty of natural foliage. How to get the Woodland look for your wedding. It is always an important to have somewhere for your guests to put their cards. This vintage suitcase shows its age in all the right places and with the moss interior is a great addition to your entrance table. Log slices are a great base for a table centre, cake, or anything else you can think of. Use just one, or create height with a stack. 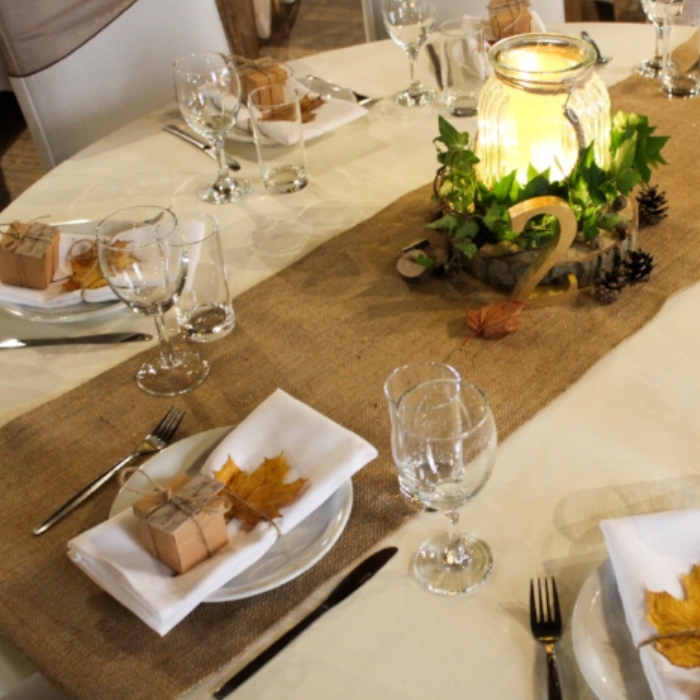 Hessian is a great fabric to add texture to your tables and interest to your table settings. If you are really feeling adventureous you could even go with full hessian table cloths. A table plan is usually the first thing a guest sees so why not make a statement with it. Think about adding depth with floating elements, texture with brown card and natural elements such as moss and leaves to create something both useful but impressive for your entrance. These trees with their twinkly fairy lights make great decorations or can be used as an alternative guest book where guests can 'leave' notes for you. 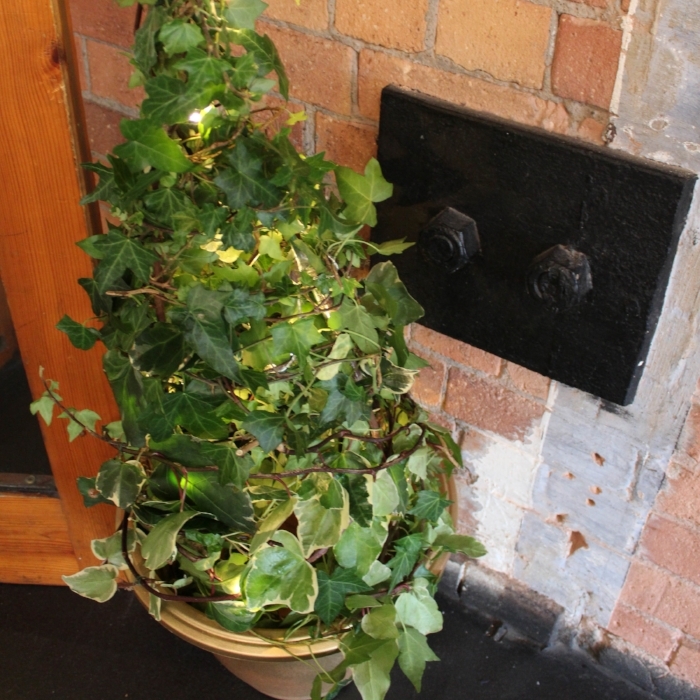 Used for your entrance or sit either side of your cake or top table these trees with natural ivy and fairy lights are great at adding both height and light to your room. Green bottles and earthen ware pots make great vessels for flowers and greenery. Use these on window sills, tables or anywhere else you can think off to create hight and interest to your space. Add some additional greenery and some all important fairy lights to really emphasise these lovely antique elements. To create a cohesion in the room it is always important to think about your ceiling, particularly if it is a low one! 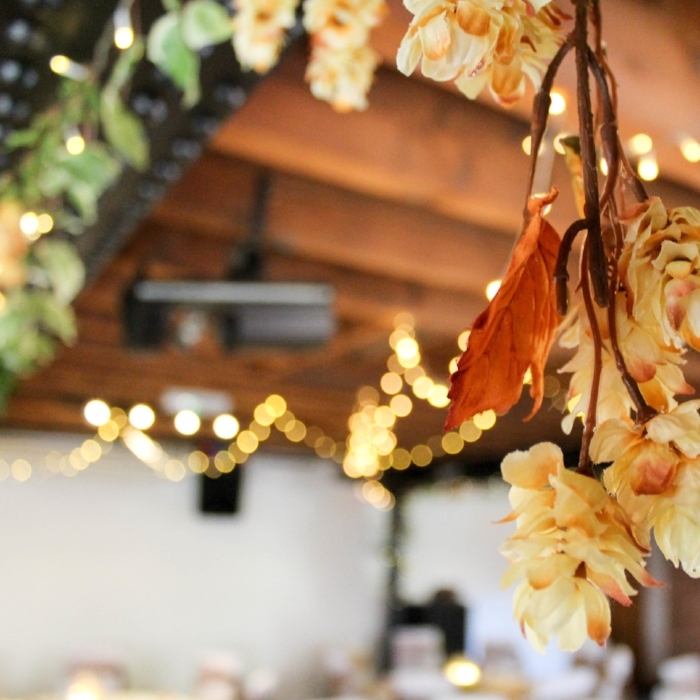 Adding garlands to beams adds light but also echoesthe foliage in the rest of the space., These garlands feature Ivy, leaves and hops but can include whichever greenery you wish. 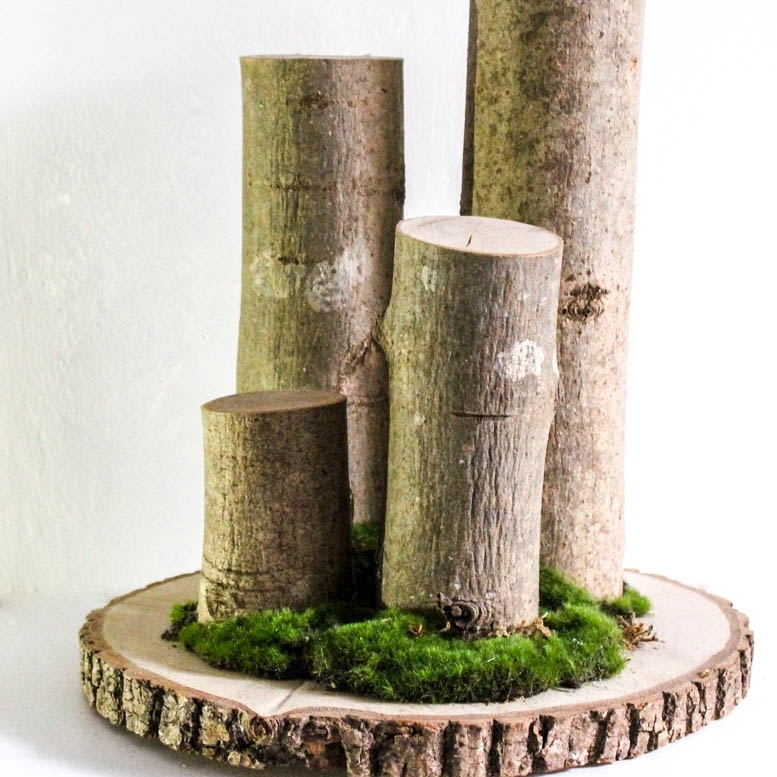 These log stands finished with moss are a great way to add height to tables, window sills or anywhere else for that matter. You cankeep them plain or add bottles or jars or weave Ivy or flowers around them to addto the rustic texture of the autumnal style. Great for part of a table centre or dotted around the venue, these tea light holders are a nice addition to add some candle light to your venue. 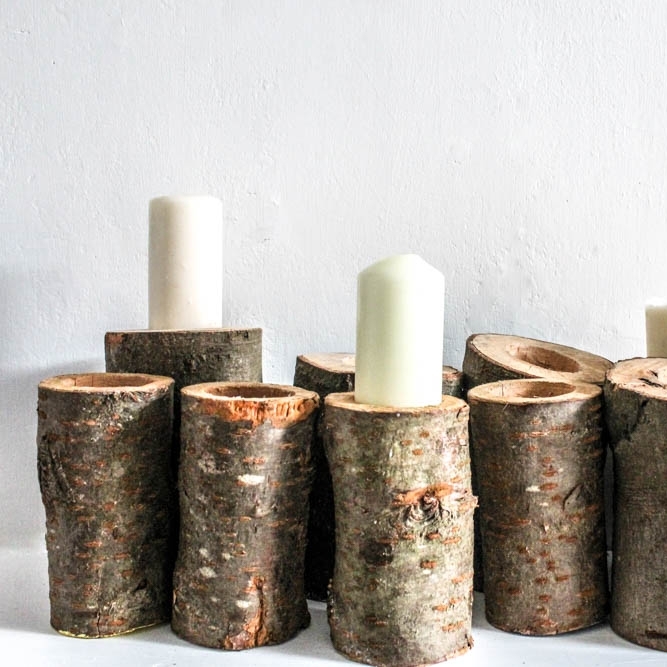 Great for part of a table centre or dotted around the venue, these rustic candle holders are a nice addition to add some candle light to your venue. Great as an addition to your centre pieces. Fill them with moss, leaves, fairly lights or a big candle. 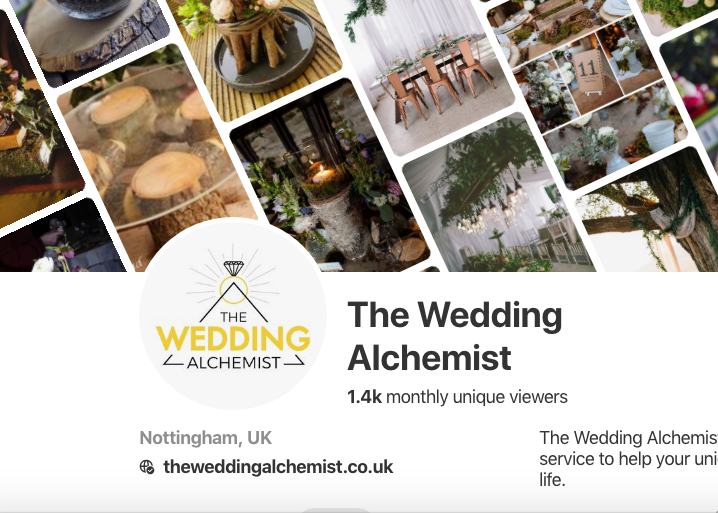 Click on the button below for more images of woodland wedding design as curated by The Wedding Alchemist. Thinking of having your own Woodland wedding? Why not get in touch with us to see how The Wedding Alchemist can help you rock the night away.